Nigeria philanthropist and businessman, Mr. Alex Ikwechegh has donated cash and job to one of the victims of the Fulani herdsmen attack in Aba, Abia State. Mr. Alex Ikwechegh, who was the former Aba North Local Government Chairman made this donations through his foundation to sufficiently assist the victims in accessing medical treatments and employment after her treatment. 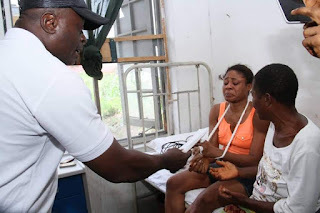 The intervention by Alex Ikwechegh Foundation came as a surprise to the victim, Ms. Esther Nmecha, a woman who has since solicited for just 60,000 naira from Nigerians to treat her hands which was cutoff during the herdsmen attack in Abia State. The victimised woman narrated the attack that left her and other in this very devastating situation, she says, "trouble started around 4:00pm on that fateful day when herdsmen encroached my business premises along Peoples Road, Ogbor Hill, Aba". According to Nmecha, appeal to the invaders to leave the premises fell on deaf ears as they threatened to kill her. She further narrated that they heated up the threat, when one of the Fulani herdsmen brought out his machete and targeted to cut her neck, but eventually missed and hit the machete on her hand. She says, "i was rushed to the Police Clinic at the Central Police Station, Aba, where they immediately referred me to the Aba General Hospital as a result of the critical nature of my case." 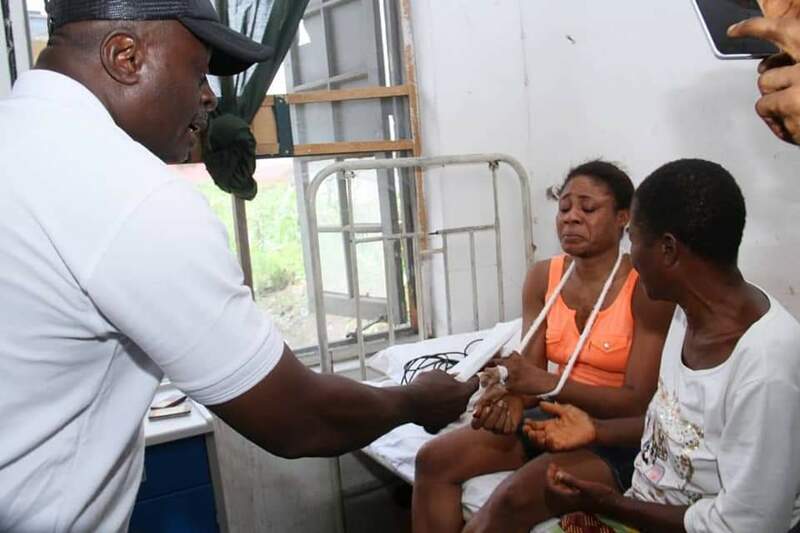 However, the humanitarian intervention by Alex Ikwechegh Foundation for victims of the herdsmen attack also witnessed paid hospital bills of several other victims of the terrorist attack in Aba, Abia State. While reacting to the initiative, the project coordinator representing the chairman of the Foundation said that, the donation was in view of the affectionate commitments on victims of the dastard attacks by Fulani herdsmen in communities across Abia State. He also noted that the recent threats by herders have created a new situation of fear, panic and unrest in communities across the state, He called on the support of relevant national bodies, so as to tackle the situation efficiently. However, beneficiaries of Alex Ikwechegh's Foundation has thank the foundation and it's Chairman, Chief Alex Ikwechegh for the thoughtful and extensive humanitarian gesture that went along way to reduce the challenges of people in the state, especially victims of the recent Fulani herdsmen attack.